We are a non-profit organization dedicated to preserving and celebrating Tatar culture and religious traditions. The American Turko-Tatar Association was established in 1960 by immigrants who came to the United States from Tatar communities in China, Japan, Korea and Turkey. Founded on the ideals of preserving Tatar traditions, we continue that spirit today for new generations to celebrate their cultural heritage. 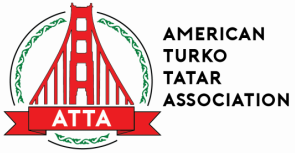 Based in Burlingame, CA, we aim to unite Tatars living across the San Francisco Bay Area and beyond. More about our history. The ATTA is a 501(c)(3) charitable organization, registered in California. Contributions are tax-deductible to the extent allowed by law.